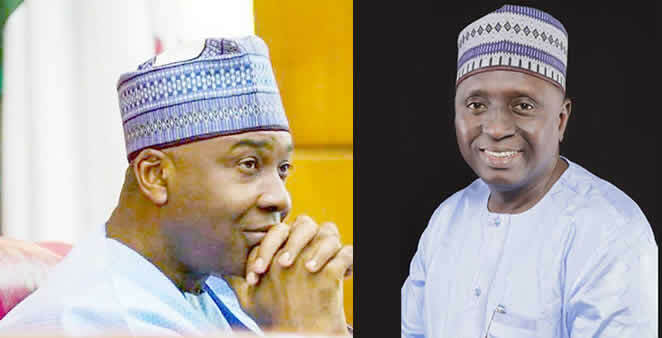 Senator-elect for Kwara Central, Dr Ibrahim Yahaya Oloriegbe, on Thursday declared that his performance in the ninth Senate will far outweigh the performance of Senate President, Bukola Saraki. Saraki, the current Senator representing Kwara Central, has represented the Senatorial District since 2011. Oloriegbe assured that his output for his constituents and the state in general will surpass Saraki’s performance for the eight years he would serve as a Senator. He spoke in Abuja alongside two other Senators- elect from Kwara State after collecting his Certificate of return from the Independent National Electoral Commission (INEC). He insisted that Saraki notwithstanding that he attained the position of Senate President did not set any standard of performance for any successor to study. He added that Saraki did not also leave any average for any successor to meet. Oloriegbe noted that Saraki by his brand of politics and ambition focuses more on national politics and not responsive and quality representation of the people of Kwara Central, his constituents. He said, “It is God that gives and takes power from whosoever He wishes. I thank the Almighty Allah for granting me the grace of being overwhelmingly elected as Senator for Kwara Central in the coming 9th Senate. “I have the pedigree of service to people and humanity as a trained medical doctor who has spent decades working with World Health Organization (WHO) and years on the political field also in rendering selfless service to people and humanity. “I was the majority leader of Kwara State House of Assembly from 1999 to 2003 under the late Governor Muhammed Alabi Lawal. “My focus in the Senate will squarely be on how to through legislative engineering, quality and responsive representation, improve the lots of my people in Kwara Central and collaborate very effectively along with other federal lawmakers from the state with the State Governor-elect, Abdulrahaman Abdulrasaq in giving the state a new direction with regards to wealth creation and genuine development. The Kwara South Senator-elect, Architect Lola Ashiru on his own assured that the new set of elected political office holders in Kwara State at all levels will collaborate to give the greatest good to the greatest number of Kwarans in months to come. He said further that they would not disappoint the people of Kwara State. The Senator-elect for Kwara North, Umar Sadiq, said that he has the strong conviction that marginalisation that had been the lot of his area in the past under successive governments, would be a thing of the past.